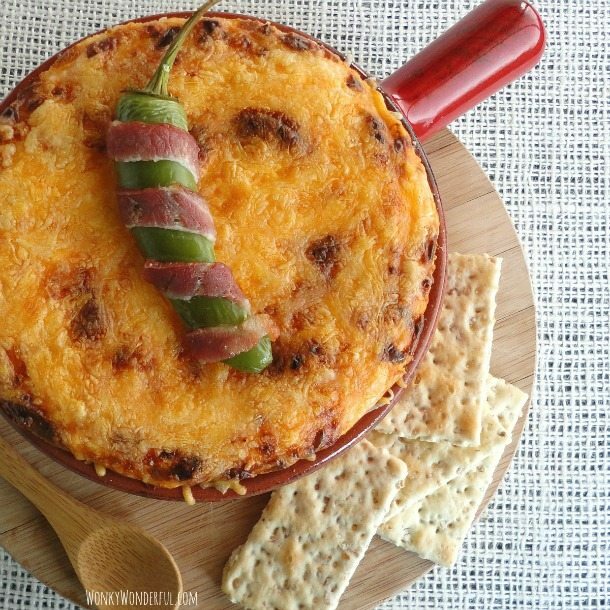 Jalapeño Popper Dip is loaded with peppy jalapeno flavor, packed with smoky bacon pieces and overflowing with melted cheesy goodness! 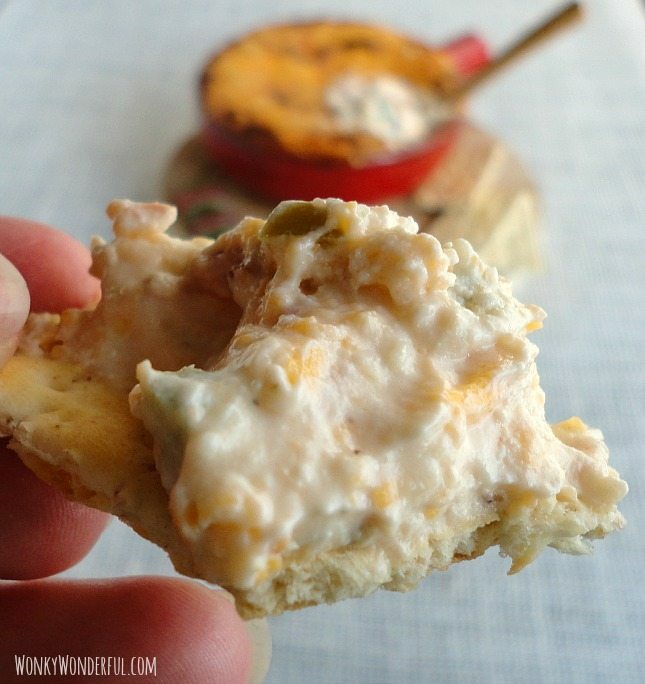 This appetizer recipe is great for parties, holidays or game day. 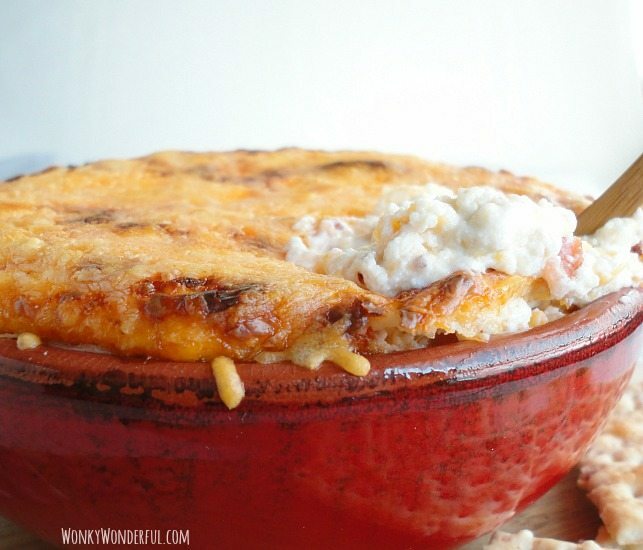 This dip is low carb and keto friendly. I love jalapeño poppers but the process of preparing them can be tedious. That is why this dip recipe is so fantastic! You get that great jalapeño popper flavor with minimal effort. Step 1: Prep ingredients then mix together, leaving 1/2 cup shredded cheese for topping. Transfer to oven safe dish, top with remaining cheese. Step 2: Bake 20-25 minutes then broil on high 2-3 minutes. Set aside 1/2 cup of the shredded cheese. Mix all ingredients together and spread into oven safe dish. Top with the remaining cheese. Bake for 20-25 minutes. Then broil on high for two minutes or until the cheese is lightly browned and bubbly. For the jalapeno garnish – Slice jalapeno in half (lengthwise) and remove all seeds. Wrap with bacon and cook on a baking sheet or piece of foil next to the dip. Remove after fifteen minutes. Once the dip has finished cooking, place on top. *Remove all seeds and the white veins inside the peppers before chopping. This post contains affiliate links. Basically, I get a little kick back for sending you over to purchase. . . at no extra cost to you. Thanks for your support! Nutrition information on this recipe is approximate. ewwwww…stop using mayo fall towards a béchamel and punch up the herbage or jalepeno and garlic.